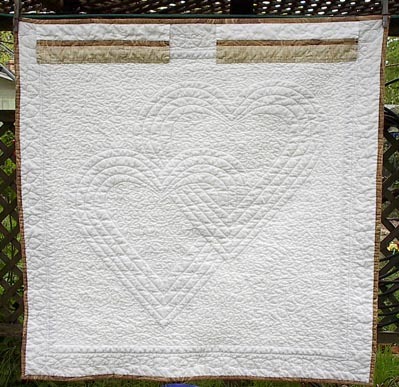 Zack and Sasha's wedding quilt was a nine patch of embroidered patterns using white-on-white fabric. It was 36" square. Zack and Sasha were married August 23, 2008 in Occidental, CA in a beautiful outdoor ceremony beneath the towering coastal redwoods. The photos show the happy couple at their reception, the ceremony and one of the blocks in the quilt. Zack is the son of John and Chris Coil, long-time college friends of ours from Davis, CA. The quilt I made for Dawn Seger's wedding, was signed by her many friends at Paradise Elementary School. We all wish her many years of happiness and love. She was married October 7, 2007 at Lake Tahoe. 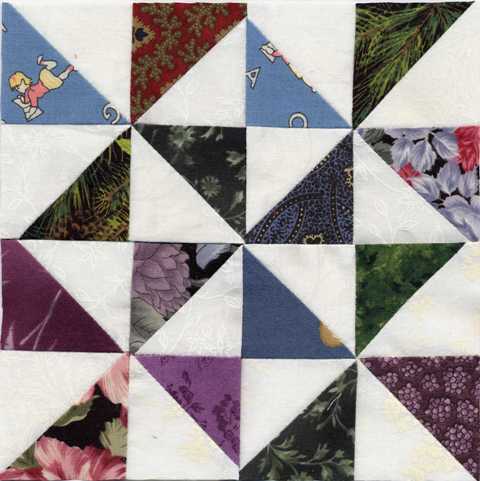 The photos below show the quilt center (which was hand quilted with heart shapes), the square detailing the dedication of the quilt and the date, and the whole quilt. 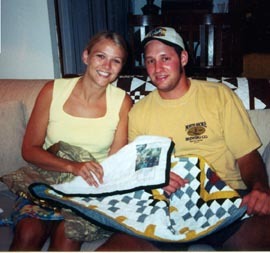 The table runner wedding quilt for Ryan and Holly (West) Jones was designed to match the Sedona pattern on their china. They were married July 21, 2001 in Montgomery, Il. It was a perfect excuse for Tom and I to take a train trip to Illinois! The beautiful ceremony and reception took place on the banks of the Fox River. A watercolor technique was used to make this wall hanging wedding quilt for Harley and Jen (Goewey) Leighty who were married June 30, 2001 at Canyon Oaks Country Club, Chico, CA. 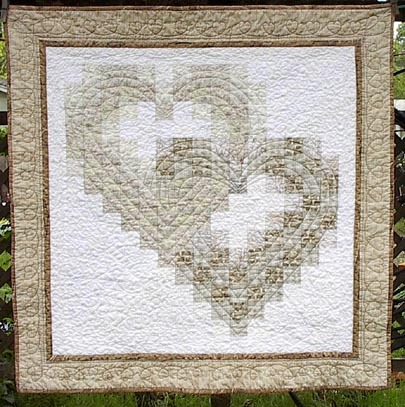 It was machine quilted following the heart shapes and the background was stippled. Over the years I've received many requests for this pattern. THERE IS NO PATTERN! I just fused various shades of tan and beige squares of fabric to gridded, iron-on Pelon and then stitched 1/4 inch seams along the vertical and horizontal lines of the Pelon.